Train Like Simone. In stock for immediate shipment. 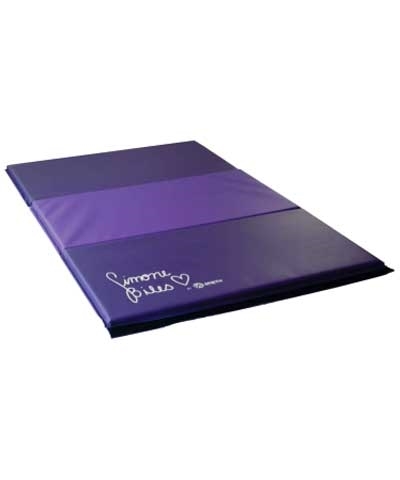 The Simone Signature Home and Gym Club Panel Folding Tumbling Mat is 48"x72"x1-3/8" and features resilient polyethylene foam covered in rugged 18oz. "Simone Two Tone Purple" vinyl. 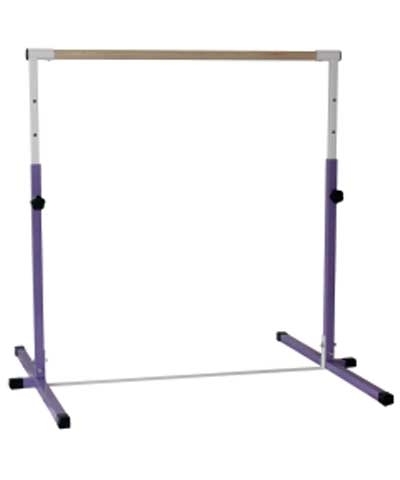 It's lightweight, easy to handle, folds every 2' to 24"x48"x1-1/8". Perfect for tumbling at home or gym. Includes "Simone Biles Heart" logo.